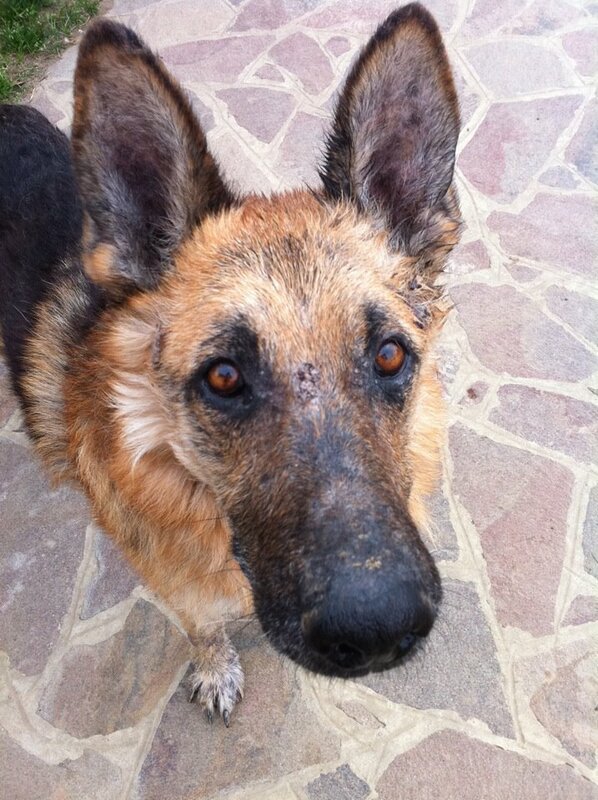 Vasili was dumped many years ago at the Shelter Caserta. When AWL Team visited the shelter we stoped outside his cage and our hearts bleed as much as his paws bleed. We took him to Hospice Casa dell”Amore (AWL) He got antibiotic treatment, and also for his leichaminiosis we started his treatment. But he started to have pain again. 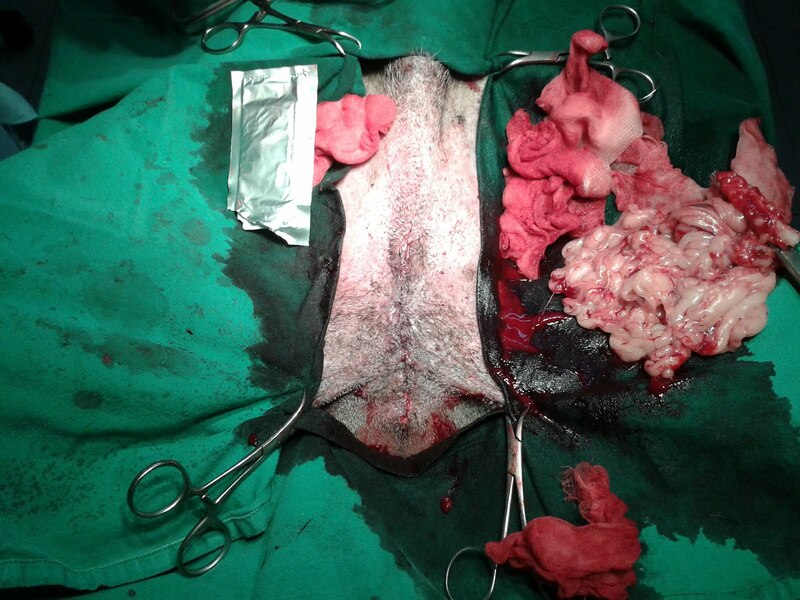 AWL hurried him to Dr Damiani’s clinic for a check up and most important, castration. And we were stunned when we got the report back from Dr Damiani. 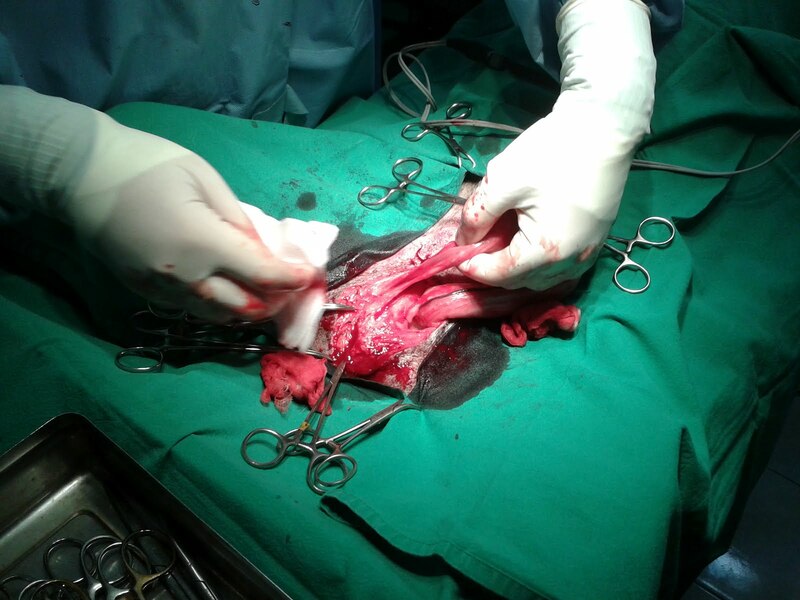 Dr Damian and Dr Fransesco have just performed the surgery on Vasilii, the German Shepherd who has been rescued from the shelter Caserta. “In the beginning it was supposed to be a regular castration despite the big large scrotum. In the end, I had to perform a different procedure named TOTAL SCROTAL ABATION, because part of the intestine was locate inside the sac where the left testicle was located. We call this disease SCROTAL HERNIA. 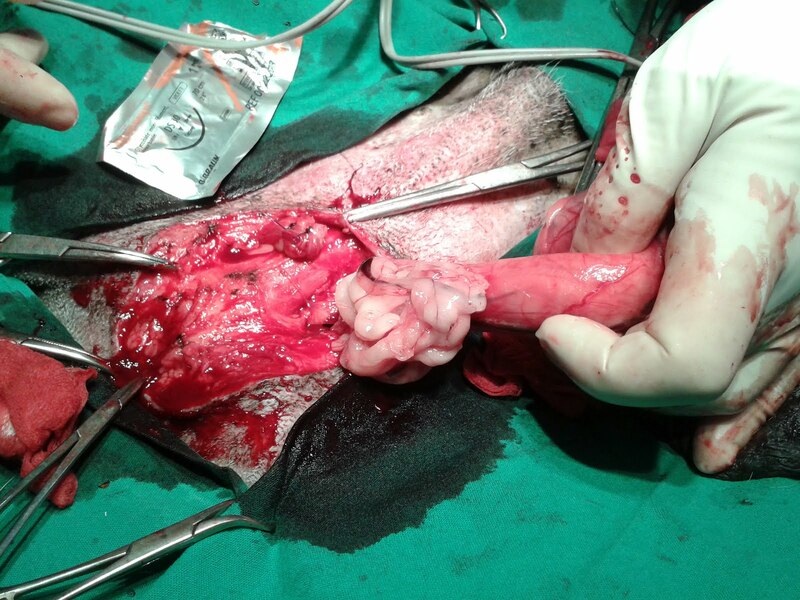 Attached you can find a twelve pictures of the procedure, where you can see the difference in size between the two testicles, part of the abdominal contents coming out of the sac and the spermatic cord and how he looks like at the end of the surgery . Because Vasyki hates to have the paws touched ( he has severe skin disease , too) we took advantage of the anesthesia and trimmed his long nails ( due to Leishmania) and washed his paws with chlorexidine. A scrotal hernia, or a hernia in the scrotal or groin area, is more correctly referred to as aninguinal hernia. The primary symptom of an inguinal hernia is a bulge in the groin or scrotum, thus the layman’s reference to a scrotal hernia. A scrotal hernia occurs when tissue passes through thin or weakened spots in the groin muscle, which results in a bulge that may be painful or cause burning. Many hernias are the result of heavy lifting and are ten times more common in men than women. Now Vasili is better and strong = loves to scare with his bark. That is barking Amore. Thank you for your support and donations, we can make a difference with your help.